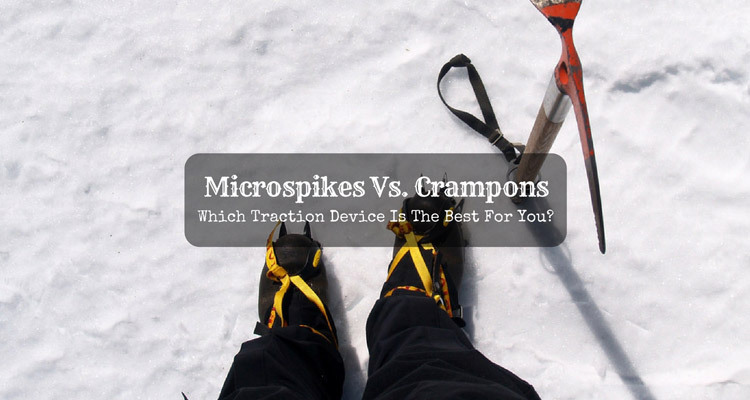 Microspikes Vs. Crampons: Which Traction Device Is The Best For You? If you are a winter hiker, there are plenty of traction devices available for you. Many of these gears are surprisingly effective, and won't hurt your pocket at the same time. The two most-used traction devices are microspikes and crampons. They both provide an excellent amount of traction on icy or snow-covered trails, and most types of footwear fit them; hence, choosing between the two common traction devices can be confusing. People often have an issue regarding crampons and microspikes as they think that they are the same hiking product; however, even though they are almost similar, they have differences that every outdoor enthusiast should know. Once you read this article about microspikes vs. crampons, you will learn the importance of using a traction device, the difference between microspikes and crampons, and the perfect traction device for your situation. Not so long ago, leather is the only material that can produce durable, long-lasting hiking boots. The reason for this idea is that leather was the strongest and best available material. Even up until today, many buyers still believe that if they want to have a decent, high-quality shoes or boots, they have to choose and buy the leather ones. Nowadays, I do not think that I should agree with this idea. In recent years, there are plenty of advancements in hemp and synthetic materials, and there are already many options available for vegan hikers. Apart from the quality shoes that hemp and synthetic materials can provide, they are often less expensive and lightweight than leather products. 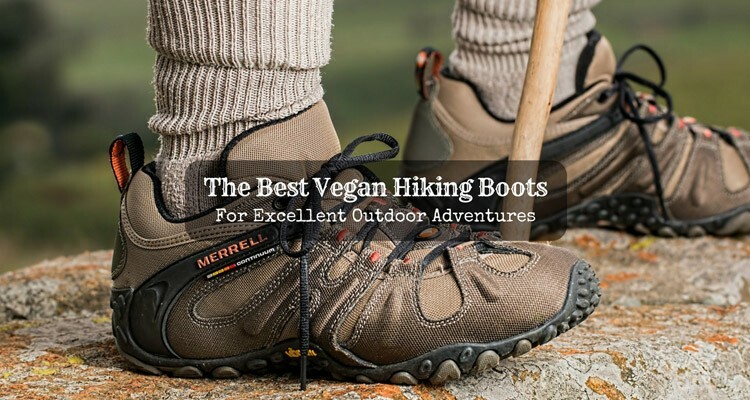 There are also different styles and colors available on the market when purchasing vegan hiking shoes, and there are also positive feedbacks from buyers that many vegan hiking shoes have so I am confident that not being a vegan does not mean that you will not like these types of boots. 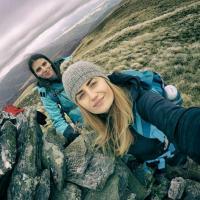 However, if you like seeing animals in nature and do not want to wear animal-made products, I suggest that you continue reading this product reviews so you would know my top choices when looking for vegan hiking boots for men and women. 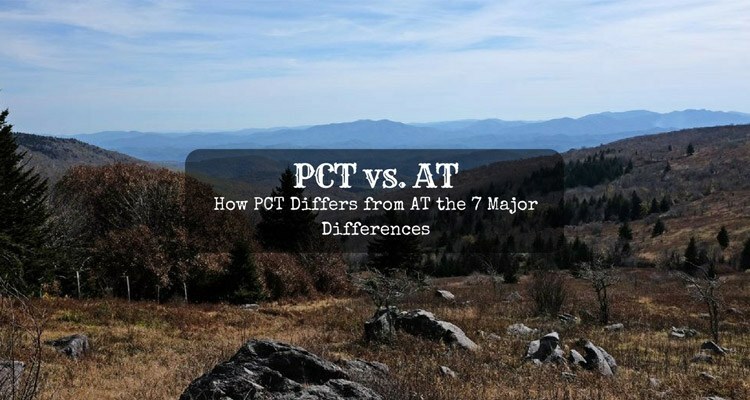 PCT vs. AT, which is the trail suitable for you? As a hiker, you need to know the difference between the two paths. The Pacific Crest Trail (PCT) and the Appalachian Trail (AT) are two great trails in the United States. The location of the two trails are on the far part of the country, the PCT is on the west coast, and the AT is to the east. I have tried hiking on the Pacific Crest, and I feel my skills in hiking has improved a lot after that. Hiking on these trails can also boost your confidence and health. It is essential that you do your research before deciding which path to go. I have written this post to give you some ideas on how the two trails differ. And to determine which is the right trail for you – PCT vs. AT. After a long and tiring trek, the most luxurious thing I can give to myself is a comfortable and worry-free rest. Fortunately, with the use of various sleeping equipment such as hammocks and tents, I am always confident that I can sleep with much comfort and convenience. 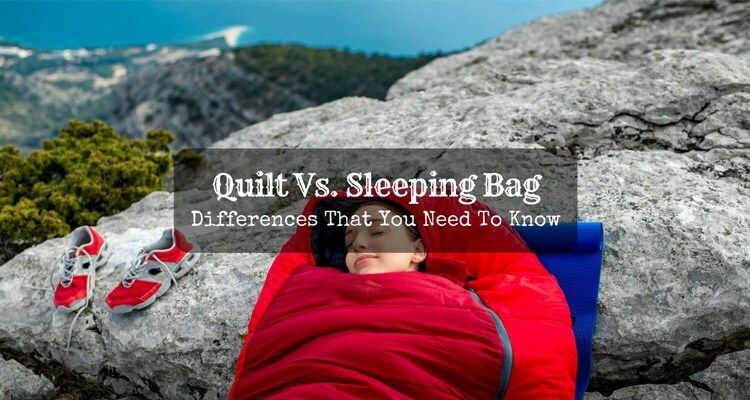 Recently, however, I became intrigued about some of my fellow backpackers who had a conversation about quilt vs. sleeping bag. Although these gears are not new to me, the differences between the two caught my interest. If you are new to the outdoor world who is reading this writing piece, I know that you may also be curious about these gears. Perhaps, you may be doing some research about them before going on your trip. If so, do not worry as I have prepared some important things to help you decide which one will fit you and your needs. 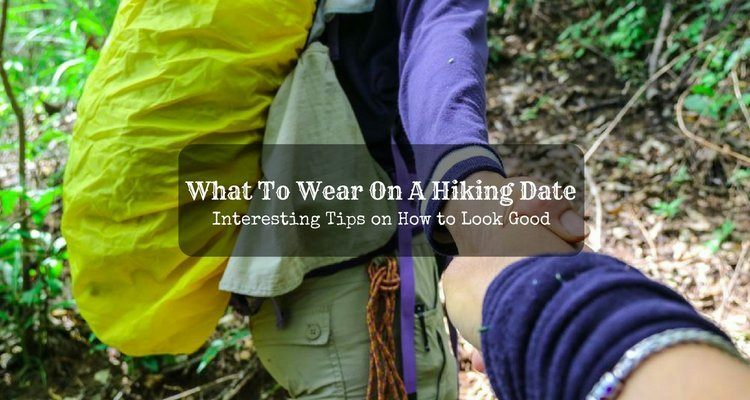 It does not matter whether it is your first hiking date or your 10th date, you need to put on the right outfit so it will not ruin your day. Being disconnected from the rest of the world for days and spending it only with your special someone can rekindle and strengthen your relationship. For the first-timers, you might be wondering what to wear on a hiking date. I am here to help you prepare. Trust me, my boyfriend and I have done this several times. There is nothing more special than being well-prepared during your hiking date. This post includes tips on what outfit you should be putting in your backpack to make you look good while backpacking. Remember it’s a date and just like any other dates, you have to look good always. I usually indulge myself in a hearty cooked meal after I hike the whole day, and it is very comforting and fulfilling. However, I sometimes feel that preparing the meal can be inconvenient and time-consuming especially when I am worn out after all day of trekking; hence, I bring foods that do not require cooking on my outdoor adventures. Even though I eat no cook backpacking meals most of the time during my adventures, I shall say that it feels like I am eating cooked foods because of the satisfaction that my no-cook meals provide. My secret is that I bring the ones that are scrumptious and contain nutrients that give long-lasting energy. By your imagination and creative thinking, you can come up with numerous no-cook backpacking ideas that will be an additional enjoyment on your trip. In my case, I list my meals for breakfast, lunch, and dinner that do not require cooking in this article. These suggestions are all perfect for your next backcountry adventure. I always enjoy outdoor adventures since I was a kid, especially when eating my favorite delicious gluten-free backpacking food. 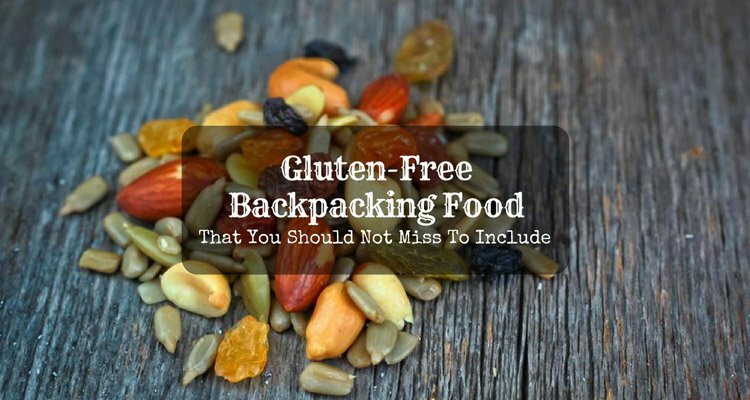 Since spending a lot of time on the trail always makes me feel hungry, I always get ready to experience an another exciting trip together with any of my gluten-free foods. As a person with gluten intolerance who is enthusiastic with various outdoor activities such as camping, hiking, and backpacking, eating foods that are gluten-free has always been a necessity for me as it always assures a more comfortable and stress-free adventure. If you are someone who loves to explore the wild and indulge yourself in the same pastime, yet share the same condition like me, I suggest that you continue reading this writing piece. Furthermore, if you are suffering from celiac disease, I am also writing this article for you. Last night, I along with my friend came back from an amazing backpacking trip. That was one of the most memorable adventurous trips for me. It was also the first time when I get introduced to the vegetarian backpacking food by my friend. Earlier I also have a misconception in my mind that as a backpacker, we don’t have many options regarding the vegetarian food. But believe me, my friend proved me wrong. 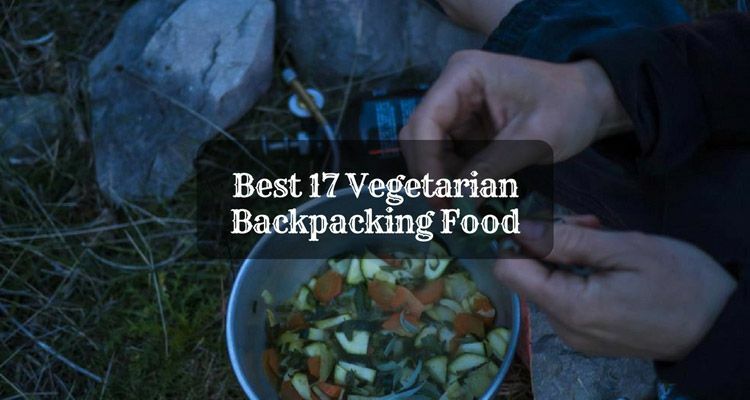 There are numbers of different vegetarian foods which you can carry along with you on your backpacking trip. She told me minutely about every detail at that time. Do you also like to know about that? For more detail and information, please continue reading the below article. 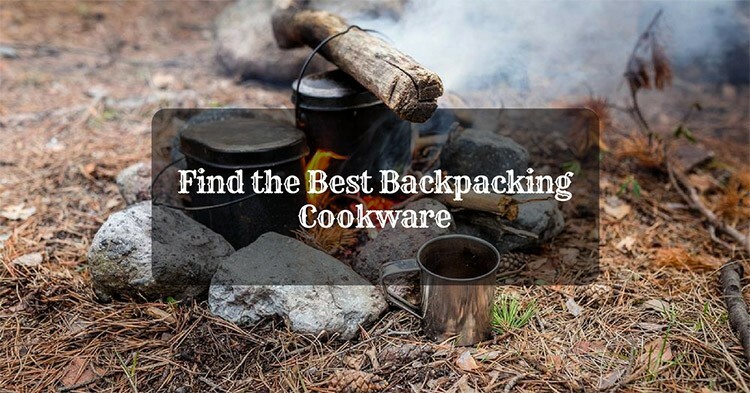 Find the Best Backpacking Cookware of 2019 Here! Nowadays every person has a very hectic and busy schedule. But, spending time over a campfire along with your friends or relatives can make you forget all your stresses and worries. In fact, you can make the campfire experience more joyful by cooking delicious recipes over the best backpacking cookware. When you come back from a tiring day of adventure, a hot cup of coffee or the food is the most amazing thing to get refreshed. 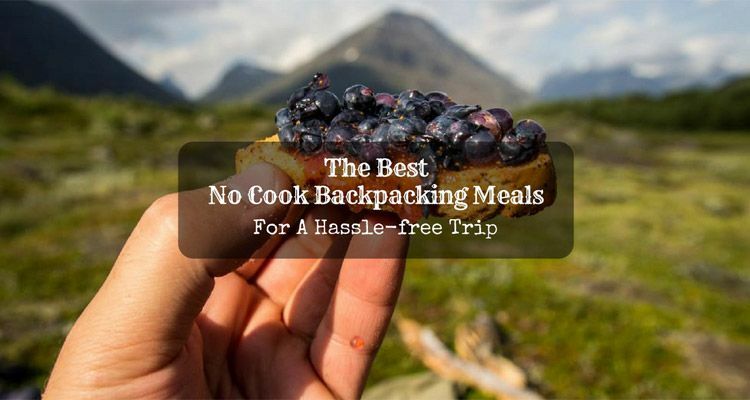 But, it is only possible if you have right backpacking cookware along with you. Sawyer Mini VS Squeeze: Which One is the Best for You? Hydro Flask or Yeti — Which is the best tumbler for you? Lifestraw VS Sawyer: Which one is best for Survival? Jetboil vs. MSR: Which One is the Best Backpacking Cooking System? Jetboil Flash Vs. Zip: Which is the Best Cooking System? I'm Laura. I have a huge passion for hiking and camping. Lying under the star beside the tent and camping fire with my team is the ultimate nature getaway to me. I wish to share my experience during the adventure with you through this blog. Feel free to read my stories and leave some comments if you like. CleverAdventurer.com is a participant in the Amazon Services LLC Associates Program, an affiliate advertising program designed to provide a means for sites to earn advertising fees by advertising and linking to Amazon. Additionally, CleverAdventurer.com participates in various other affiliate programs, and we sometimes get a commission through purchases made through our links.